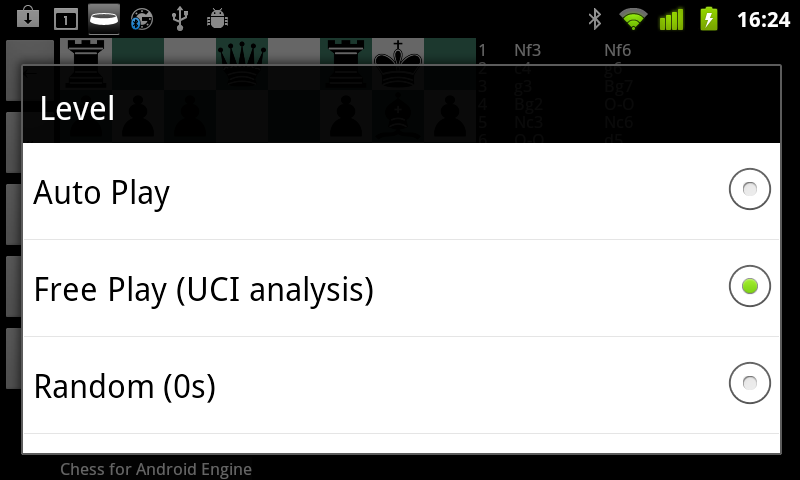 Chess for Android 2.9.4 is available! 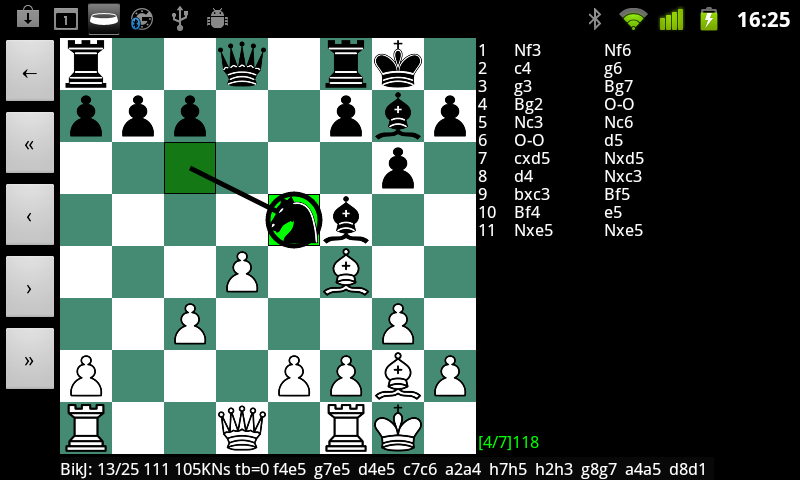 Chess2u » Computer Chess Software, GUIs » Free Chess Software » Chess for Android 2.9.4 is available! This version introduces the much requested "infinite analysis" mode for an imported UCI engine, in which the engine reports its analysis of the position without actually making moves. To enable this mode, change the level to free play, as shown in the following screenshots.